Money Morning's Capital Wave Strategist Shah Gilani tells why. "While bad weather generally ratchets down housing starts, the unexpectedly large recent drop goes beyond weather factors. Homebuilders have been managing their offerings prudently, because they have to. But while the market pundits have been talking up the market, the homebuilder confidence index is going the other way," Gilani says. On Tuesday, the Commerce Department announced that builders last month began new construction at a seasonally adjusted annual rate of 897,000 homes. This was as a sharp 17% drop from January. As with the severity of the month's inclement weather, the decline played out unevenly across the country. Starts fell roughly 57% in the Northeast, which was pummeled by a rolling wave of snowstorms and well-below-freezing temperatures. The next-largest decline was a 37% falloff in the Midwest, with an 18.25% drop in the West and 2.5% dip in the South. The cold across the Midwest and Northeast at times rendered construction completely unfeasible. Single-digit temperatures with wind chills well below zero, coupled with snow blasts, provide little opportunity to frame out a house. Roads made treacherous by the weather also had purchasers less apt to look at newly constructed homes from the fall, causing a backlog and a subsequent drop in starts. As to conditions for a lasting recovery? 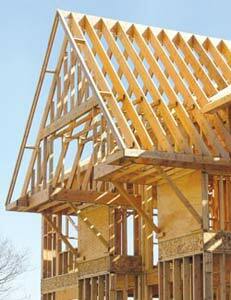 "There's nothing pushing homebuilding, there are no prime movers as a tailwind, none. The so-called housing recovery is still nothing but a grind," Shah said. Click here to receive Shah Gilani's no cost Wall Street Insights and Indictments to keep abreast of the housing market and whatever investment opportunities it might provide. Any one who has put their faith in this economy, has asked for trouble, and will receive it ! Many plans for survival, as though our financial system was going to be eternal. There is no L in God Jim.! When reading the financial bio's, I look for the source of where the author's profit manifests. You do not spend federal reserve notes to help me . We all know the US has run amok printing 'franklin's' in an effort to cure various financial ills. Its funny isn't it, the dollar gains in strength but there is nothing behind it ,a facade as it were. Congress has sold manufacturing down the river, we can not improve products if we do not make them sir! What is left , equities ? all is soap bubbles. I am wondering if you are basing your stats on the Shemitah coming again in Sept. 2015 ?? You think ? I have had advise from Wharton in entrepreneurship, why would I invest in anything but my own enterprise. I am not squawking from any box , rather, tooting my own horn as it were. As the Pepperidge Farm man used to say " the better the bread, the better the crouton " . The TARP Fund was supposed to go to the people, who would spend it, and the economy would not crash. But Obama gave it to the Unions and the Banks. Thus the economy crashed, and he continues to feed the rich, so there is no liquidity. We are sucking vapors.